All photos by David Bacher Photography. Deets: Sunday in Brooklyn dress (sold out); Sabine necklace (sold out); Kate Spade earrings; J.Crew coat; Via Spiga booties. 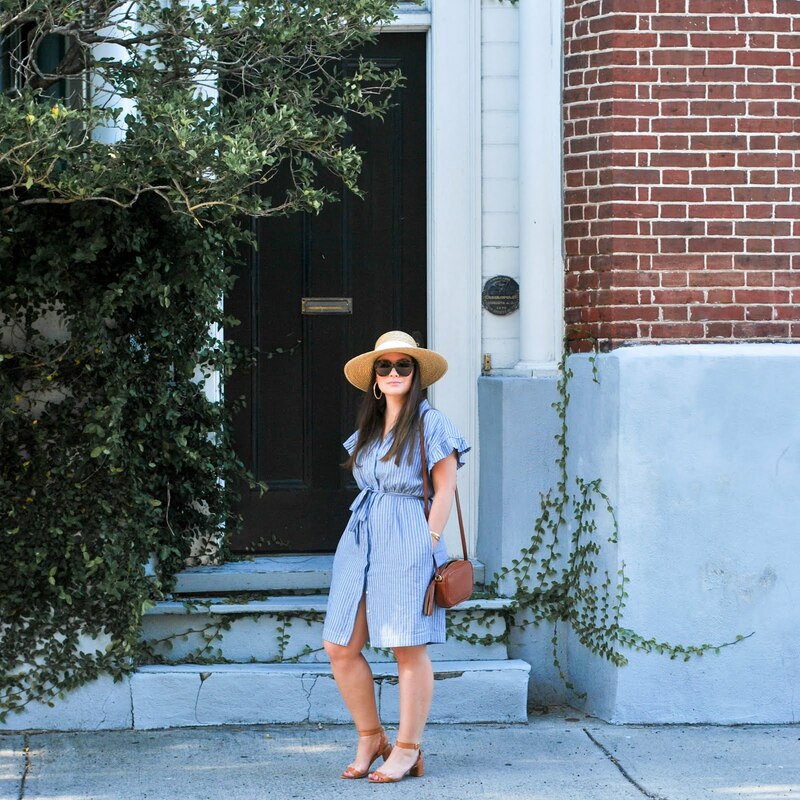 I know what you are thinking, "wait that's not Erin in those amazing pictures.." so first I must disclose that this is not MY engagement story, it's my best friends. However, I did play a small role in this grand surprise so I want to share it on here anyway. It was a cold November night when my bestie's boyfriend sent an email to me stating that he needed my help. As her birthday was also at the end of the month I didn't want to jump the gun and assume it was engagement related but deep down I hoped. We sat down to dinner and he nervously blurted out that he was going to ask Lauren to marry him and later proceeded to whip out a little checklist of things he wanted to discuss, adorableness. 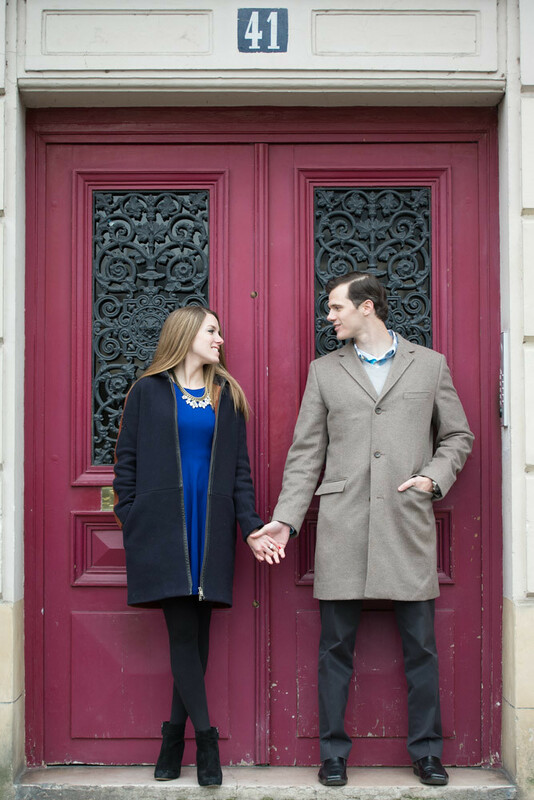 Lauren and Brian had a pretty awesome trip coming up which included a few days in London and a few days traipsing around the romantic city of Paris. 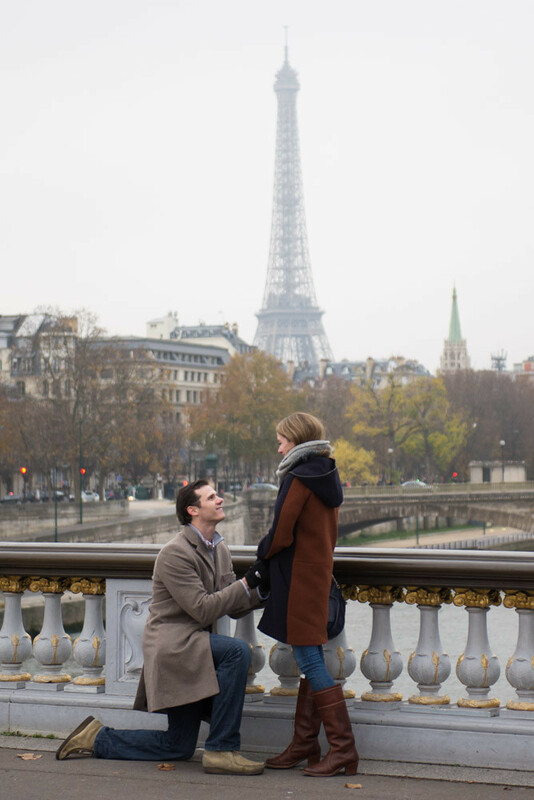 He had already bought a ring and get this: CALLED A PROFESSIONAL PARISIAN ENGAGEMENT PHOTOGRAPHER (yes you read that right) to capture the moment he was going to surprise her on the bridge over the Seine. 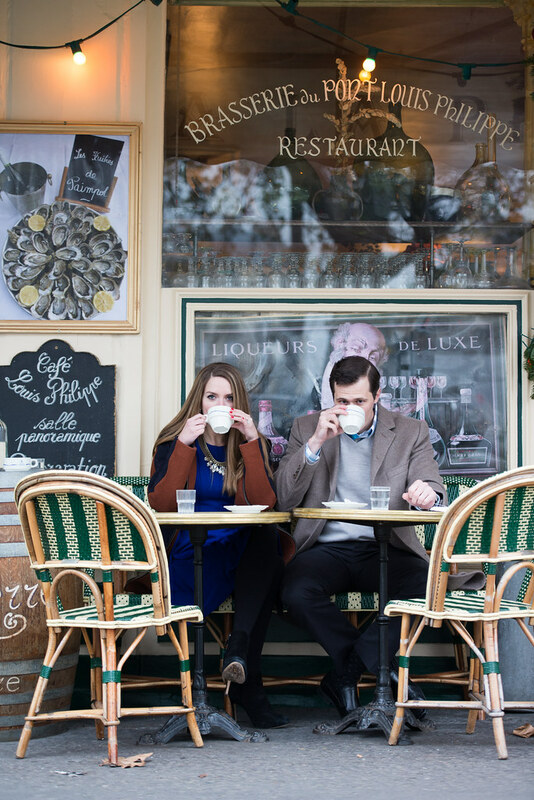 Even better, this photographer was going to spend the day driving them around to different classically Parisian spots to take more adorable once in a lifetime pictures. This is where I make my small cameo. Brian realizes that girls are picky animals and probably prefer to be rocking a new and fun outfit to take engagement photos in but as she didn't know they were taking them, she probably wouldn't think to pack such an outfit. 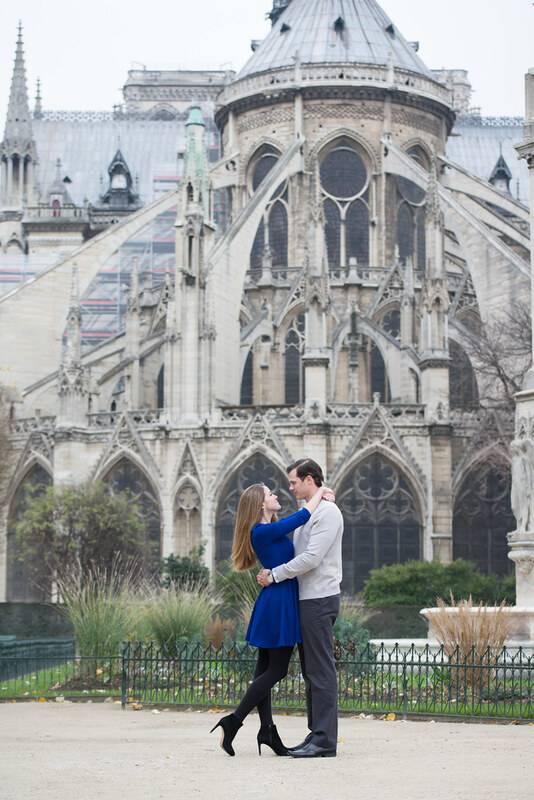 He then gives me a budget to find her a few new outfit options that we send off to Paris the week before so that after he popped the question, she got to go back to the hotel and open up a package that contained three different new looks to choose from. I know, perfection! Check out how their amazing day was captured in the photos below and be sure to enter my V-Day giveaway here.